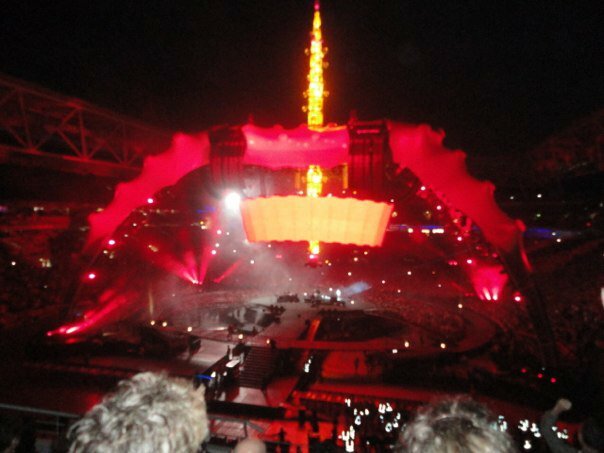 U2. 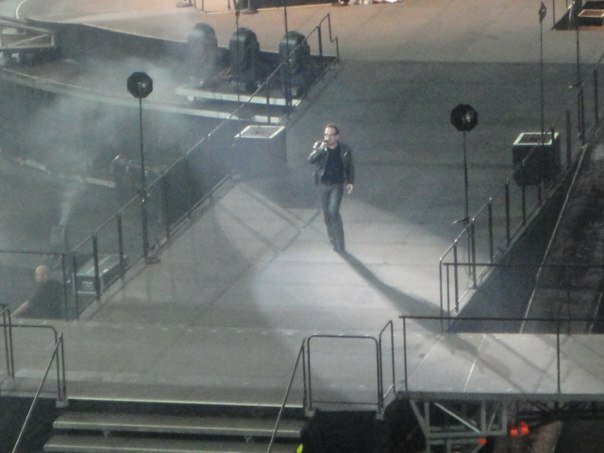 The group was formed in 1978 which is composed of Bono, the lead vocals; The Edge, lead guitar; Adam Clayton and Larry Mullen, the rhythm section - bass and drums. 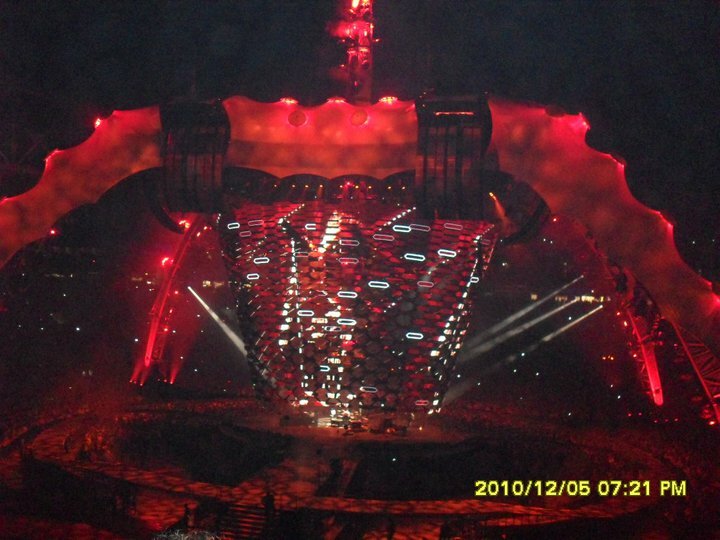 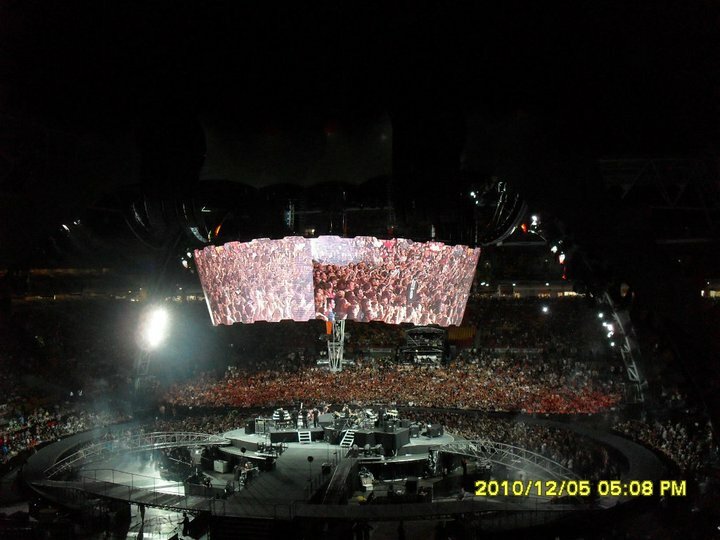 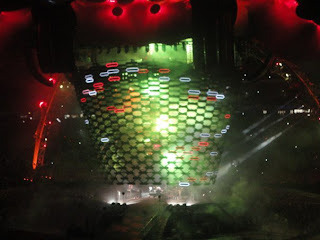 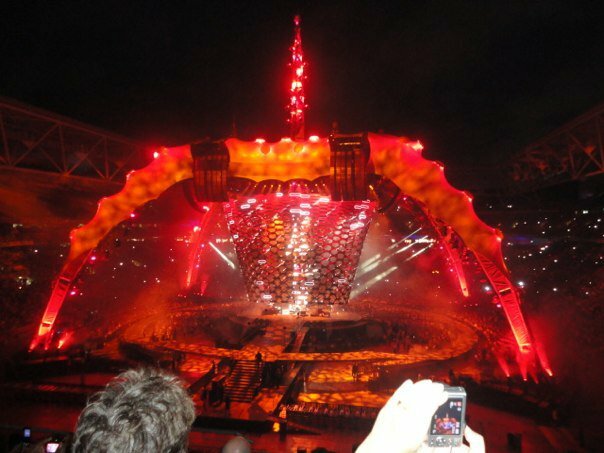 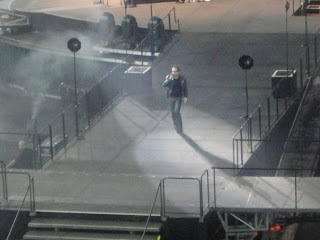 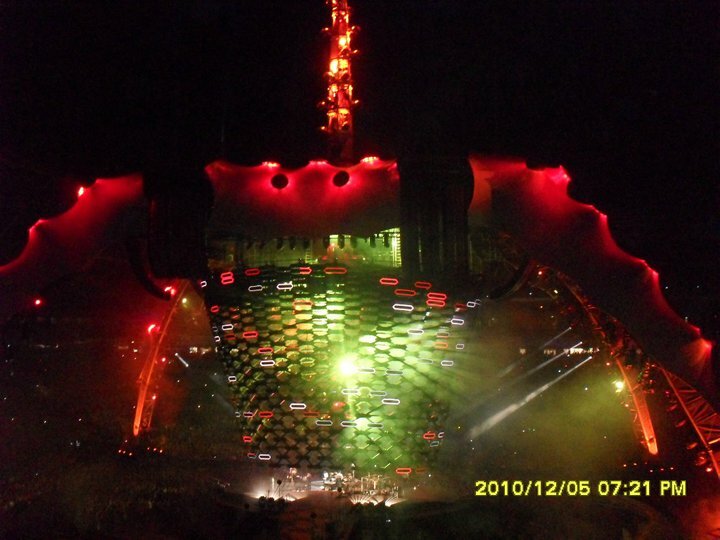 U2 360° tour hit Australia, specifically in Brisbane, Queensland last 8 & 9 December 2010. 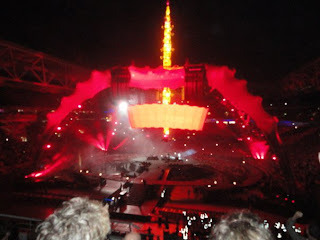 The concert was held in Suncorp Stadium and I was there on the second day of the concert, the 9th of December. It was the best concert I've ever seen.